Hi guys I have a new hard top which has only been fitted to the car to test, and iirc never left the garage. It's in silver but has been wrapped in matte black kpmf air release cast film which has a fine textured finish. I can supply it as is or remove beforehand. The roof fits snug with no shrinkage or twists, and comes complete with: Storage bag Velcro side trims Bolt in front trim Box it was sent in. Due to the size and risk of damage I would rather it collected and am happy to fit, but your car would need the hardtop mounting brackets already fitted. I'll take some pics later tonight or tomorrow, but pm if you need any info. Duncan_F saw the top at the weekend so can independently attest to its condition. £600 ovno. Cheers, Pete. Probably worth pointing out that this is a new OEM lined turbo hardtop bought from the lotus auction website last year. Hi I'm in Swansea but I'm heading to anglesey circuit next month march 12th if that's of use? I'll be taking a support car so can put it in the boot? Anyone...? I don't think it's overpriced looking at the 'used-used' tops on here for 500+ But if I have let me know. 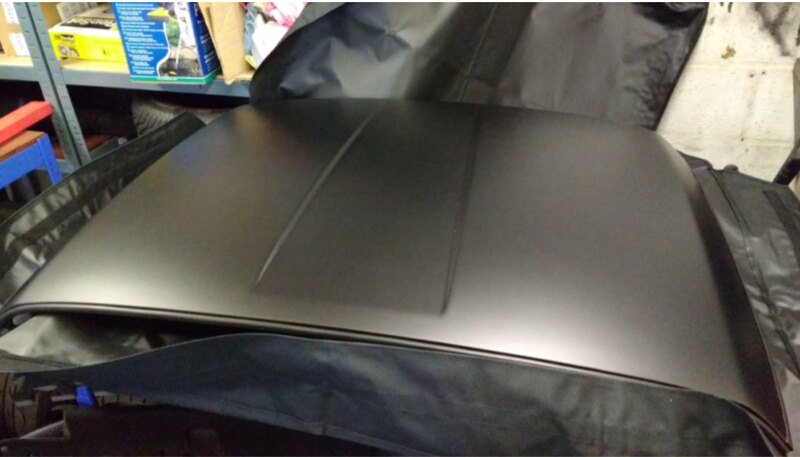 Brand new factory hard top, lined with interior vanity panels. Cheers. Bit of a thread revival. Still for sale, and I can bring this on the car to the national if it helps. Are you still looking for £600? Autumn and winter coming so good time to bump this advert methinks? Pete, I'll take it. FB Messaged you.